Have you heard about Food Revolution Day? 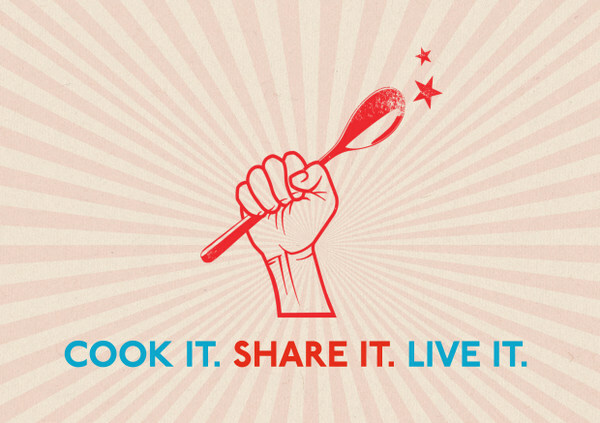 An annual day of awareness, Food Revolution Day was started by Jamie Oliver in 2012. It is about getting back to basics – cooking and eating fresh local produce, sharing skills and food knowledge, cooking from scratch, and getting as many people involved as possible. Here at Seasonal Sunday Lunch we think that sounds like a pretty great batch of ideas! We were excited to discover that Sydney Ambassador for the Jamie Oliver Food Revolution, Alexx Stuart, has created a special event to celebrate the day. Her Love Real Food Picnic is being held in Centennial Park, Sydney on Saturday 18 May! You can find out more about why Alexx is supporting the revolution, and sign-up to join this free event. The only requirement to attend? Everything in your picnic basket needs to be homemade – no packets! Alexx has put together a great list of picnic recipes for inspiration, and you can always check out heaps of recipes by season from some of our favourite bloggers. My current favourite made-from-scratch-instead-of-a-packet treat of the moment? These Gluten-Free Cheezy Rosemary & Black Pepper Crackers – perfect picnic food! Will you be taking part in Food Revolution Day and what are your favourite made-from-scratch picnic treats? Filed Under: Blog, Events, News Tagged With: Announcement, As seen on..., Australia, Causes, Event, Local, Sydney, When's Lunch? JJ is editor and co-founder of Seasonal Sunday Lunch. She is a recipe developer, photographer, stylist, marketing consultant, freelance writer and creator of the popular food blog 84th & 3rd. JJ believes food should be fun, healthy does not mean boring and if all else fails pie makes everything better. You can also find her on Twitter, Facebook, Google+, Pinterest and Instagram. It is so lovely of you to have taken the time to share this event and provide your readers all the links. So grateful. Going to be a great day and only sorry that you won’t be there to hang out with us all!